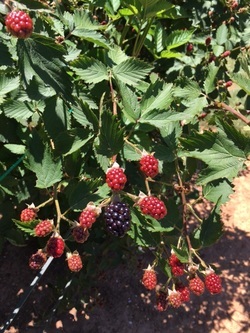 At Indian Grove Farms we grow a variety of blueberries, blackberries figs, elderberries, chokeberries, sour cherries, pink lemonade blueberries, and other fruit. We are always on the lookout for new plants to grow such as our Fuyu and Jiro Persimmons. Elderberry bushes have the most fragrant flowers and the berries can be used in a variety of ways such as jams, jellies, fritters and pies. The berries also have been used for thousands of years for medical purposes. The syrup made from the berries can be used to treat colds and flu and is great for boosting the immune system. The Indians even found a use for the branches as arrow shafts and pipes. 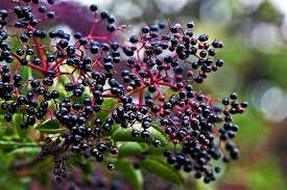 Last but not least you can make wine with elderberries. Having several different blueberry varieties means we have bushes producing early in the season as well as mid and late season. Blueberries provide antioxidants which helps boost your immune system, but they also taste great as well.